There have been a lot of guns sold over the last few years, and the ranks of American gun owners have swelled considerably as people decide to be in charge of their personal security instead of an armed representative of the state who may not be around when he or she is needed most. While a fair number of those guns sold have been to people like me who already own a fair number of guns, a lot have also been sold to people who have never owned a gun before. Purchasing your first gun and bringing it home is just the first step in responsible gun ownership, and there is a big difference between buying your first gun and knowing how to use it as an effective self-defense tool. Once a gun is purchased, the next step is learning and living by the rules of gun safety. Then, making the commitment to practice with your gun and carry it on a regular basis. 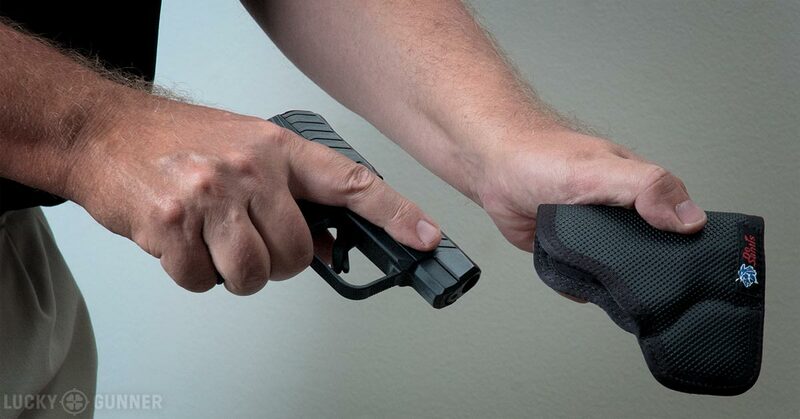 Since you are now relying on it for person protection on a day in, day out basis, keeping your gun, yourself, and everyone around you safe is of the utmost importance. The rules of gun safety aren’t that hard. There is no math involved, no conjugation of irregular verbs, and you don’t need to memorize complex formulas that are full of Greek letters and whatnot. They are simple, clear and easy to follow. Always assume a gun is loaded until proven otherwise. The hard part is doing them every single time you pick up a gun, and when you own just one gun, you’ll be picking it up and setting it down often, especially if you are carrying it and practicing regularly. Therefore, maintaining safe administrative gun handling habits is very, very important, as is handling your gun only when absolutely necessary. Simply put, administrative gun handling is everything you need to do in order to get your gun from being unloaded to being ready to use, and then back to unloaded again. It’s an important skill to master and for the first-time gun owner, it can seem like a daunting task, but so did tying your shoelaces when you were a preschooler, and you’ve mastered that skill as an adult. Or at least you should have. One of the trickier parts of all of that is keeping your gun pointed in a safe direction while all that activity is going on. That’s a fair amount of activity to keep track of, especially for new gun owners. Unloading and loading your gun is when most negligent discharges (i.e. an unintentional BANG) happen, so slowing down and taking your time to do it right becomes paramount for the safety of all involved. Even still, being conscious of what direction constitutes a “safe direction” is not always easy. Fortunately for me, I live in Florida, which means that all the exterior walls in my home are made of hurricane-resistant concrete and are therefore a fairly safe direction to use when unloading or loading my guns. 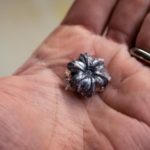 However, if you live in an apartment or someplace where people might object to a bullet punching through a wall and whizzing over their heads should something go wrong, keeping your gun pointed at a box of kitty litter or a 5-gallon bucket of sand will stop most pistol rounds from going someplace you don’t want them to go. A car in the driveway that’s propped up on cinder blocks, with the wheels off, is not an effective way to get to work every morning, and a gun that is unloaded and locked away in the case it came in, under your bed or stuffed under a pile of sweaters on the top shelf in your closet isn’t an effective defensive tool. Take the gun out from the under the bed, make sure it’s unloaded (then make sure again) and spend five minutes a day on dry fire practice with it. 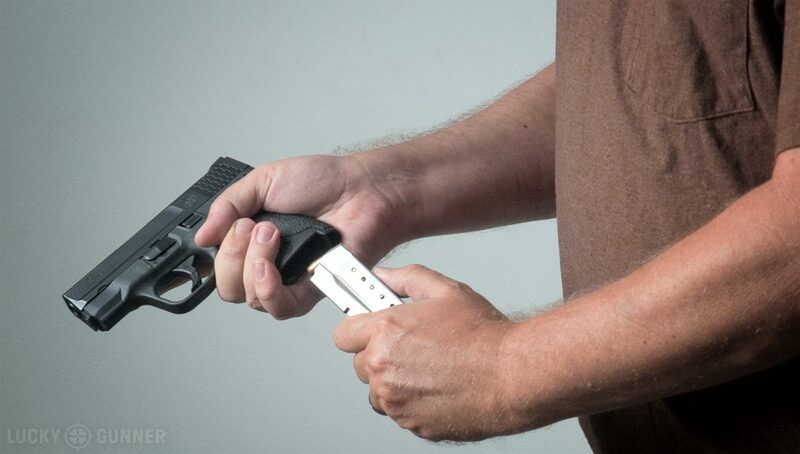 Learn how to pull the trigger on your gun without significantly affecting your sight picture. Learn how the controls operate your gun. Get used to the weight of it in your hand. Rightly or wrongly, there has been a lot of mystique and emotion attached to guns in our culture, but the fact is, they are a lump of inanimate metal that does nothing without input and control from the person holding them. The more skilled you are with your gun, the more effective your gun will be when you need it most. 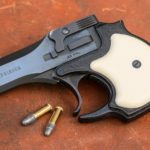 Knowing how to safely handle your gun and learning to use it well are two important steps to gaining the ability to defend your life when needed. The biggest step, though, has little to do with skills or practice. It’s understanding that you need to have your gun near you should you need to use it, and having confidence that you are skilled enough to use it effectively should, heaven forbid, the occasion arise. I know many gun owners who have spent hours and hours leaning on the gun counter of their local gun store, agonizing over what gun is the right choice for them, only to keep it locked away and unused after they buy it. People who buy a gun and then keep it nearby “Only when they might need it” are just as bad. Have you ever been in a car accident? Did you have enough warning time to put on your seatbelt and make sure everyone else was wearing theirs before it happened? Probably not. That’s why we wear our seat belts when accidents aren’t happening, so they’ll be there when they are happening. This is also why we carry a gun with us when violence isn’t happening, so it will be there when it is. 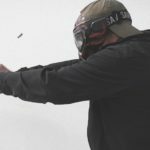 Gaining confidence with your gun is not that hard to do, because as anyone who’s ever sent rounds downrange will tell you, shooting guns is fun, and getting better at shooting guns is even more fun. Regular practice and devotion to the rules of gun safety boost your confidence in your ability and increase your knowledge of what a gun can and cannot do, and as you perform each more and more, a virtuous cycle will develop. You’ll be more comfortable around guns, and you’ll learn to shoot them better, making you more comfortable to be around guns, and so on and so on. All of this starts, though, with making the decision to do more with your new pistol than keeping it under your bed or in your closet, hoping it will keep the bad people out of your life. That’s not a plan, that’s wishful thinking, and those who wish to do you harm don’t really care about your wishes for a peaceful life. So even if you are hoping for the best, plan for the worst. Practice handling, practice shooting, and gain confidence with your gun. You made the decision to buy one. Now make the decision to be awesome with it.